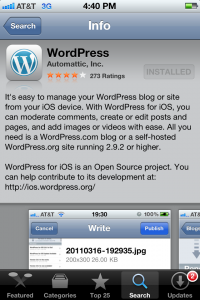 My previous post about the WordPress for iOS app explains how you can start posting to your WordPress blog from remote locations using your iPhone or iPad. 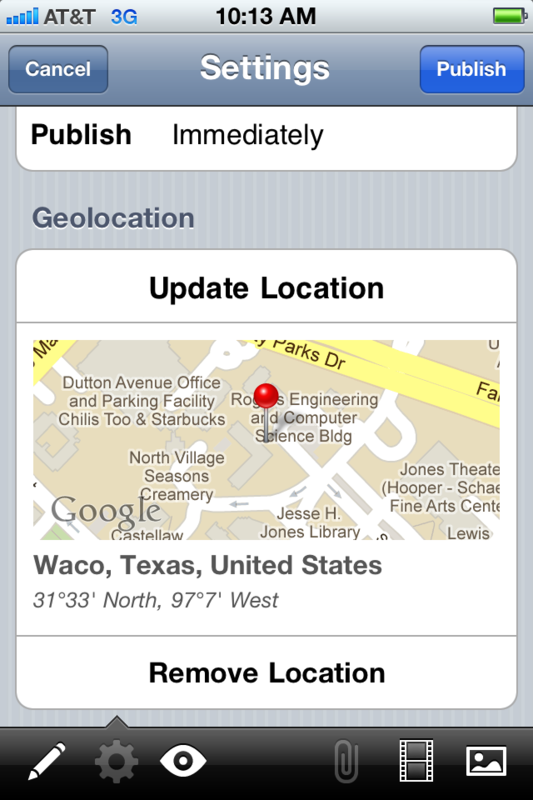 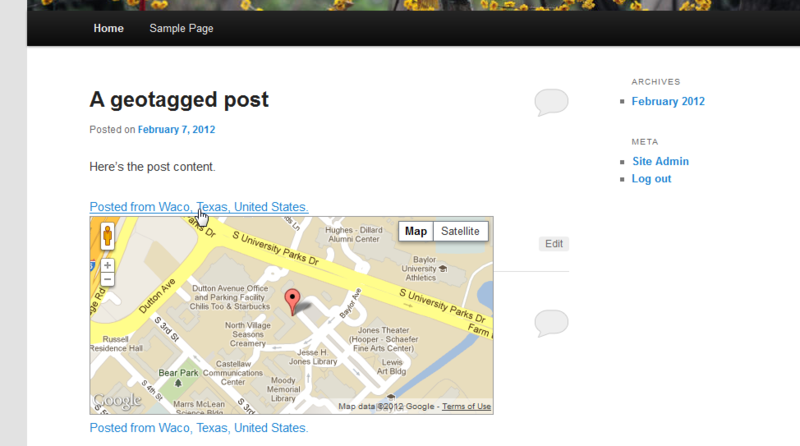 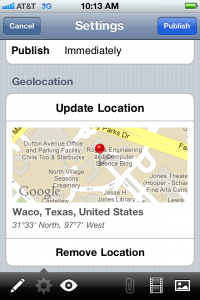 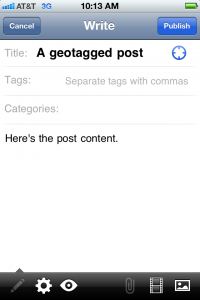 We’ve since installed Geolocation Plugin for WordPress, which will allow you to add geolocation information to your posts in the form of Google Maps from the iOS app. 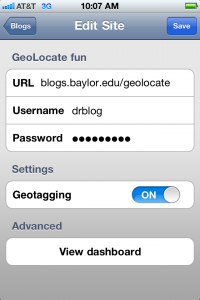 If you’re planning to participate in one of Baylor’s study abroad programs any time soon, using this app and plugin combo might be a great way to keep up a photo blog of your travels, particularly if you plan to use a theme like AutoFocus. 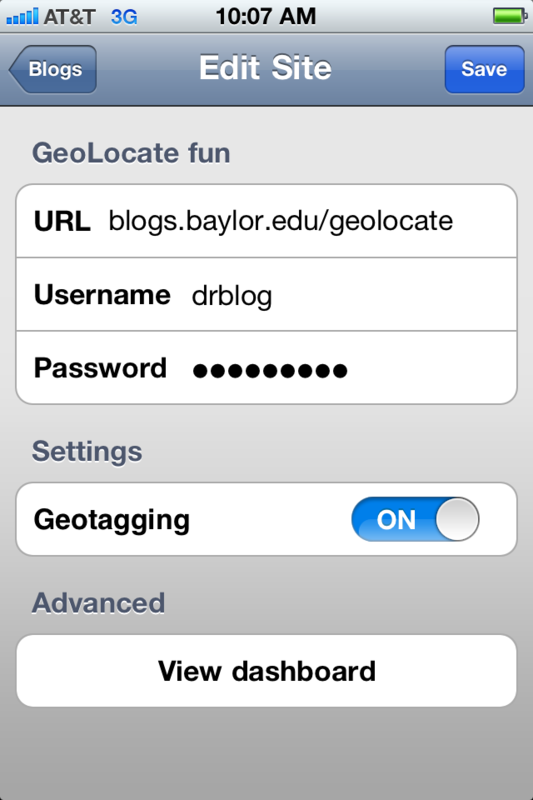 Finally, if you need to fine tune your location information after the fact, you may do so in the full version of the dashboard, where you will see all the custom field information for your location and the Geolocation module showing the map in your post. 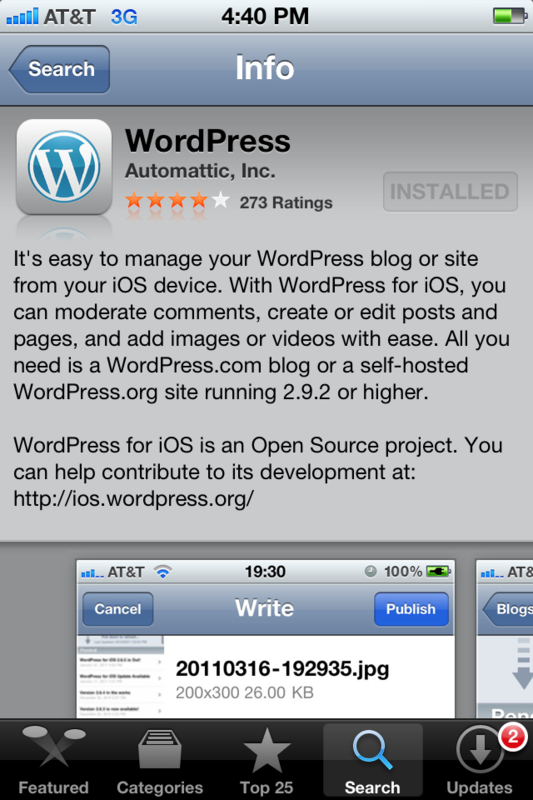 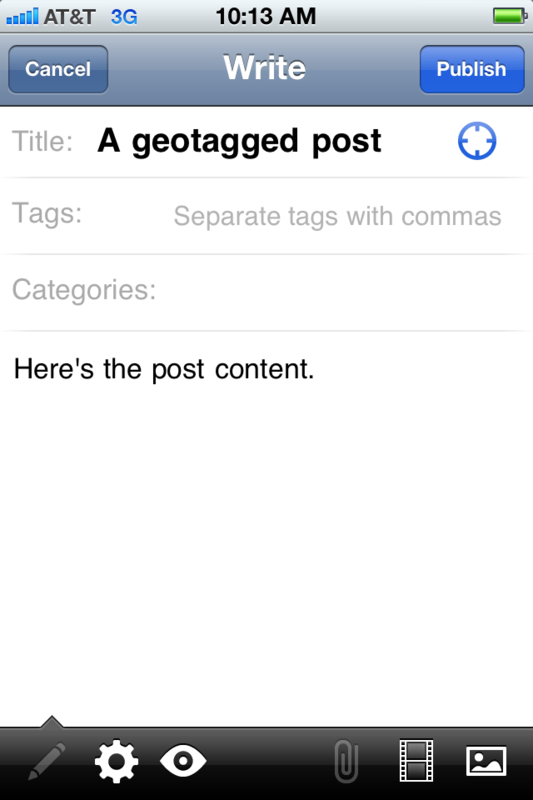 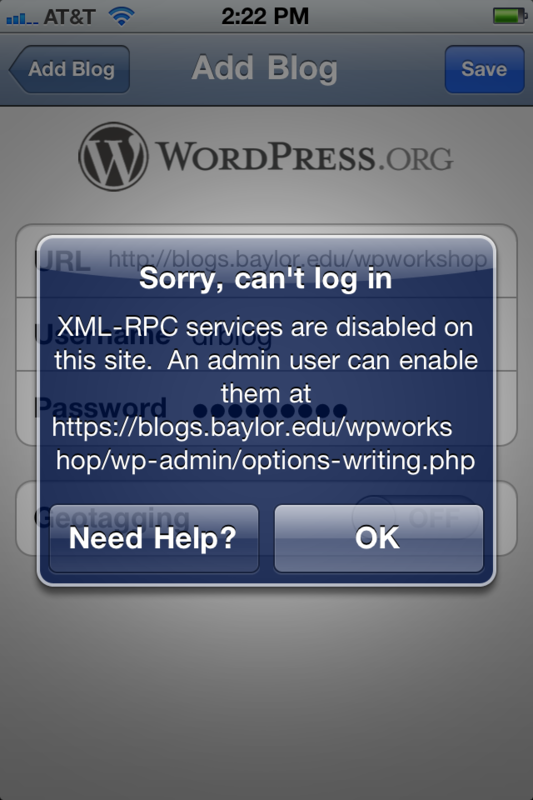 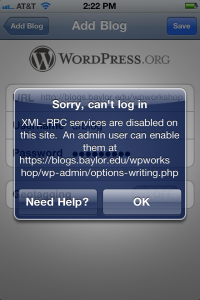 … check that box, and you’ll be able to sync up your blogs with the WordPress for iOS app, error-free.